Whether you belong to a Triathlon group, cycling, swimming, running, youth or church group, I can assure you I have a presentation which will inspire and motivate individuals and groups alike! By the time I have finished with my presentation I will have touched some people to sign up for a triathlon, or a marathon or even to chase their dreams and make them a reality. Motivation, a goal, a target etc... we all need goals in life, it is what makes life so interesting and adventurous, it may be a race, a new job, to get into a special class at a University etc.... what ever your goal is set realistic ones so you will not be disappointed and live life to the fullest. You may think only cool things happen to certain people because they are lucky or have lots of money etc... yet every day remarkable things happen to just ordinary people as they truly have the will and desire. I have lived a full life so far and lived with no regrets, I have travelled, lived in different countries and over come adversities to become whom I am today as I firmly believe you cannot be successful unless you have experienced failure. LIFE IS NOT ABOUT WAITING FOR THE STORM TO PASS, IT IS LEARNING TO DANCE IN THE RAIN! Please contact me for details regarding speaking engagements. As I appreciate being covered for travelling fees and time. I am available most weekends throughout the year, and can talk on wide range of subjects from triathlons to Scuba diving, Hammer Nutrition to how to run and use a Polar Monitor. Guest Speaker for South Hills HS Cross Country team. #motivation #Heart Rate Training #Hammer Nutrition #Run Happy Great group of HS Kids, Was fun to talk about racing, training and recovery .. why they run and what they do and do not enjoy. Talked to The Covina Rotary Club...a great group of people who do a lot of good things for others. This was the first group I had talked to with my new hearing aids!.I talked about bucket lists and motivation... how it is never too late to pursue a dream. I had the pleasure of being a motivational speaker for Mindrum Precision Inc. In Rancho Cucamonga. This was both enlightening and intersting for myself and Al as we also had a tour of the factory too. Pretty cool stuff. Was grateful to Diane Mindrum who is the female President of the company to invite me to speak during the lunch break. Today I was a guest speaker for the So Cal Pacers a running club with RRCA affiliation I was asked to speak at one of their get togethers in Chino Hills a week before the LA Marathon in hopes of sharing my story and inspiring the club members. This day I made a lot of new friends. I had a wonderful time and also raffled off a Polar Loop and gave out Hammer Nutrition samples and Ocean Potion suncare. In November I represented Polar, Hammer Nutrition and Ocean Potion at the last Mountain bike event of the year at Mount SAC in Walnut, California. Helped at the Rock n Roll half marathon representing Brooks Running. Guest speaker at the Temecula Triathlon Club. Had a great turn out and some awesome questions were asked! I had some bags made with Hammer Nutrition samples, Ocean Potion sun care and Kool n Fit samples were given out. All in all a great evening. I represented Polar Heart Rate & Ocean Potion Sun care at the final Bonelli Championship event is June was awesome to see all the champions of the events and great to see the Fire and Life Guards out there too. Put up a POLAR USA booth with Ocean Potion and information about Hammer Nutrition. I also raced with my husband Al and my mini pin Hammer ...I love helping out at TriEvents at Bonelli Park. Podium time with Al and Hammer! So in May I was a guest speaker for the INCYCLE Belle Cycliste I went over correct fueling with Hammer Nutrition and also heart rate training with POLAR USA and gave out Ocean Potion sun care too. It was a great evening and the following morning a few of us met to go on an easy pace bike ride. After the meeting we were able to browse the INCYCLE San Dimas Store. A few of the women take time for a picture. Was cool to have the Major of San Dimas give us acknowledgement. In April I also became a Level 1 & 2 US Masters Swim Coach. In March since 2007 I have been the assistant Race Director to my Husband the race director for the San Dimas Stage Race here in Southern California it is a 3 day cycling stage race and produced by SC VELO bike club. I always try my best to represent the great sponsors I have been blessed with and on day 3 do put a 10x10 Hammer Nutrition Booth and Polar Heart Rate booth at the expo as well as this year had the kids race sponsored by Chaffey Auto Body and Ocean Potion Suncare. Below are a few photos high- lighting a few of the great sponsors who gave their support in 2014. Cyclists stop for Hammer Heed at the top of the Glendora Mountain Road TT. Ocean Potion our official Sun Care product. During March and April I helped at ATP Multisport with various clinics they held for the beginner and advanced Triathlete preparing for Bonelli Tri series, Coach Ben is awesome as he offers the clinics free and they are held as part of the Competitive Tri-Swim Masters program at Covina High School. As Ben is also a fellow Hammer Nutrition Athlete it is a pleasure to be invited to help out. Ben and Lauren and my self at the Covina Pool deck. In February 2014 I was asked to give a talk to a group of female recreational cyclists. It was a great meeting and hope these cyclists were inspired to keep turning the pedals. THE HAMMER NUTRITION CATALOG 2013 YUP THAT WOULD BE ME ON THE COVER MY 15TH AND FINAL ULTRAMAN HAWAII WORLD CHAMPIONSHIPS. 12 OFFICIAL FINISHES, 5 AGE GROUP WINS AND 3 UNOFFICIAL FINISHES. First 6 hour mountain bike event at Bonelli Park was a great success, and really appreciated the companies that supported the event. We had a great event, I had Polar Heart Rate Monitors, Hammer Nutrition and Ocean Potion. Autumn 10 week Running program. I certainly had a lot of fun volunteering my time for the Covina Masters Swimming RUNNING program!! over the course of 10 weeks we met twice a week at the High School track and did speed work, team man ship, stretching etc.....I used my 20 plus years of running experience to make sure each track session was fun and every one took some benefit out of the program on a weekly basis. I took out the Hammer Booth and Polar Heart Rate Monitors to the Steam Boat Triathlon at Bonelli Park, was a fun event and my husband and I podiumed in the team competition. Hammer always has fun at these events. On Monday evening I was the presenting speaker at the SC VELO bike club meeting. I was presented as a motivational speaker to talk about the challenges of Ultra Distance triathlons, making lemonade out of lemons and then covering sport nutrition and in depth about Hammer Nutrition products and their amazing suppliments. I also talked about heart rate training and was able to present information regarding Polar heart rate training. Was a successful evening and many great questions were asked. Had the pleasure of being a guest speaker for the Inland Infernos Triathlon group, I covered all the new Polar monitors relevent for multi sport and swimming. I also covered Polar Personal Trainer and did a few fitness tests. As we are also having triple digit weather here in SO CAL after the Polar Presentation I covered a little on heat training and the Hammer Nutrition Products HEED, FIZZ, PERPETUEM, and the new VEGAN Hammer Bars. May 29th 2013 Fitness and Health Presentation. I was invited to talk to Corporate America via a Social Security group from Down Town Los Angeles, I did a presentation and talked a little of what being fit really means to me, then asked questions about getting fit , being healthy and listening to your heart! I also spoke about making choices, walk the stairs take the elevator? Eat a healthy food choice or grab a bag of chips... I covered a few basic Polar Heart Rate Monitors and also spoke about the Hammer Bars which are available to use as a healthier snack then Candy. The people were amazing, they asked some great questions and made me and Al feel very welcome. It was certainly a pleasure to speak with this group and a mirror into the Corporate jungle. Awe thank you Rudy Project for using a great photo taken by True Emotions Studios for the Mothering Sunday campaign! This was the second TriEvent Triathlon at Bonelli Park. It was a Saturday as Sunday would be Mothering Sunday. AL and I put up a Booth for Hammer Nutrition and Polar USA. 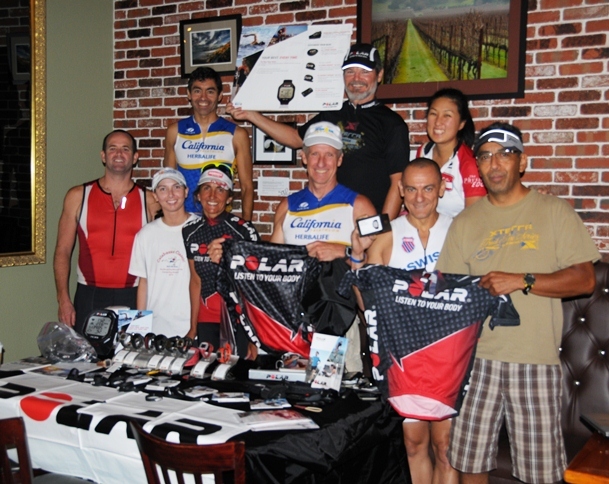 We also took 3rd in the mixed relays..
Polar gave away Polar Heart Rate Monitors during the raffle for the athletes. April and June Triathlon Clinics presented by ATP-MultiSports. Before the May and April Triathlons at Bonelli Park for Trievents, I was fortunate enough to be able to help Ben & Lauren Lovelace with their tri clinics. They were small groups but quality training mimicking super sprint triathlon format. Both clinics were put on at Covina High School pool and Hammer Nutrition was able to supply gels and Hammer Heed! These two children are the athletes of tomorrow it was amazing to watch them polish off amazing swim bike and run times!!! And a pleasure to be part of their development in the sport of Triathlon. 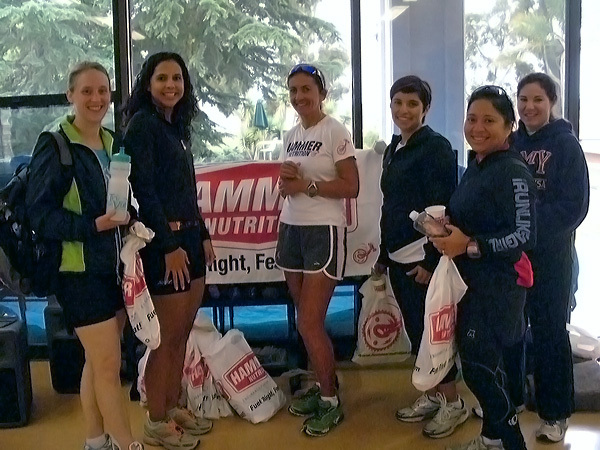 Bonelli Tri Events are represented by Polar USA and also Hammer Nutrition I also took out Ocean Potion for the racers. It is a great venue to be part of and I also raced a relay with my husband Al. We took first place!! The weekend of 22nd, 23rd and 24th is the San Dimas Stage Race which was the 14th edition in 2013, It is sponsored by Hammer Nutrition and Polar also gives products for the racers to race for. On the final day the 24th I put up a booth representing Polar and Hammer Nutrition who also kindly gave 53x11 Coffee mugs and bottles to give out! Invited to speak at Cycling Connection group in Rancho Cucamonga recreational cyclists and also a few cyclists that raced came out and we covered the new Vegan Products Hammer Nutrition were offering in 2013 and went over Polar Heart Rate cycling computers and how to train with heart rate. Was a guest speaker for the Whittier Mountain Bike group. The topics covered were the Polar Heart Rate monitors for training and racing and how to use Polar Personal Trainer. I also covered training and race day nutrition with Hammer Nutrition products. I was a guest speaker for the Redlands Triathlon Club in California, I had a nice evening and the club asked great questions about Hammer Nutrition fueling, Polar monitors and loved hearing about Ultra distance triathlons! I went out to the Steamboat Triathlon and put up a nice display of Polar Heart rate monitors. Was a guest of Southern Pacific Masters Coaching clinic. I was able to give two presentations, one on using POLAR heart rate training to help coach master swimmers. The second presentation was incorporating Hammer Nutrition into swim work outs, racing and post race. The clinic was held in Thousand Oaks California. 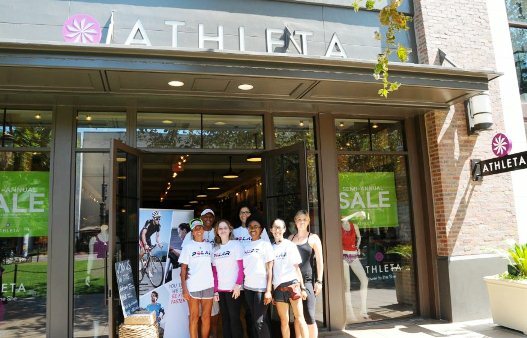 Guest for the Athleta Store at The Grove CA, was an open clinic for the employees and also their customers. Here is a picture of The Grove Staff. Guest speaker for REI Arcadia, my audience was REI employees, very friendly asked great questions and very successful clinic on Polar products. Really enjoyed this session with REI in Arcadia. Third Bonelli Tri, Final in the Bonelli Tri series, four RCX5 monitors were given to the over all winners and my Polar Mentorees won 2nd place in their division in mixed relay so a very good day. Here is Mike and Liz their big moment at the end of the POLAR 300RS challenge! My husband AL and Hammer joined me for the last race of the series of 2012. I was able to represent Hammer Nutrition at the Huntington Beach REI Bike Fest. Met some interesting people and enjoyed the day. I cycled to Arcadia for a group of 10 girls of Girls on the Move, to provide inspiration and motivation. they were delightful and I enjoyed my afternoon with them. Guest speaker for the Covina High School swim team, was a good morning, had 30 swimmers 14 to 17 years old, I talked about Hammer Nutrition and Polar heart rate training. Had a POLAR booth at the San Dimas Stage Race. Represented SC VELO and SDSR at Ekstrand Elementary School were I talked to the children about keeping healthy and riding their bikes safely. I took my Rudy Project Helmets along for the kids to see the differance between Time Trial and Road racing. I volunteered to be the official sweeper for the L'Etape du California pre ride with California Triathlon, it was an interesting day and a very long day for sure! 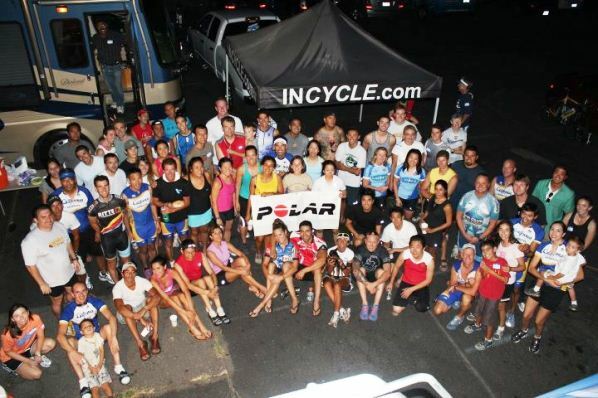 Represented Polar USA and Hammer Nutrition at the INCYCLE Rancho Cucamonga organised bike event. I had planned on doing the 50 mile trail run on Catalina Island, unfortunately I found myself with injury so went any how and ended up giving my time at the Wacko Cafe aid station I was there for about 7 to 8 hours, if you have never volunteered at an aid station in a race please do it is fun and can be very rewarding. On an overcast and raining wet Sunday here in Southern California I found myself at the Triple Crown Series at Mount SAC Mountain bikers were out to get points and I was out there representing Hammer Nutrition and Polar Monitors USA. I was a guest speaker for a school cross country team St Bruno cross country team. They were awesome to speak to and they enjoyed the info on heart rate training and LOVED their new Brooks Running Happy shoe bags!! At the beginning of October 2011 Hammer Time was created and a HUGE thanks to Brooks running, Hammer Nutrition and Polar Monitors and Ocean Potion it was a great grass roots event. Was invited to the Cali Tri group at the Rosbowl in Pasadena had a great time and there was a huge turn out. Was invited to the Inland Infernos Triathlon Club BBQ at Bonelli park, were I spoke about Polar Heart rate monitors and training. Was a great group and asked the right questions!! Had a great meeting yesterday and represented Polar Monitors. I made a cake for the Covina Aquatics end of season party. On this evening I was a guest speaker for a girl scout group in Claremont, as when I was in my teens I was a Girl Guide in England, and obtained the highest award a guide can get...the Queens Guide. I still have all my badges on my original camp blanket and my certificate signed by Queen Elizabeth congratulating me on my achievement. I had a lot of fun reminiscing and taught a few of the guide songs I still remembered.I enjoyed talking to the girls and felt privileged I was able to share a wonderful childhood! Was a guest for Cycling Connections in Rancho Cucamonga, I did a presentation on the new Hammer Nutrition products Solids and Fizz. Then I did a presentation on Polar Heart Rate Monitors and the importance of heart rate training and why every one should be listening to their hearts! It was well attended and good questions asked. At San Dimas Stage Race I put up a Polar Booth.. 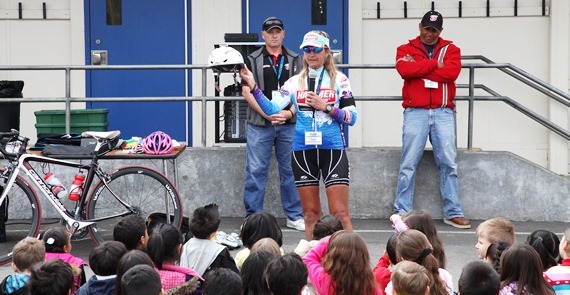 I visited 2 Elementary Schools on behalf of San Dimas Stage Race and did small presentations on the importance of eating healthy and keeping fit and talked about the cool moments of being a triathlete and travelling the globe! I love talking to children they ask the funniest questions!! I was a guest speaker at Workman School for 25 cross country runners. They are a new team and hopefully I will be hearing about their success in 2011! I did a presentation on Hammer Nutrition, talked a little about Polar Monitors and heart rate zones and my Brooks running shoes!! They were an awesome group to speak to and I felt grateful and humbled as they clapped when I walked into the classroom. My husband Al added his knowledge and we hope these kids will go on to dream big!! "Thank you sooo much for coming to see our kids! Our kids have never seen anyone like you and have been excited ever since we told them you were coming. Everyone wanted to shake your hand and personally meet you. Our kids have some tough backgrounds and come from very hardworking families, despite some of their circumstances they show up everyday to run. I know you and Al have impacted their lives forever." I also went to a boy scout group and taught them Emergency First Response so they would be able to get their first aid merit badge. In 2010 my husband AL and I teamed up with our friends Dave & Jodi Ruby we hosted several triathlon clinics at Bonelli Park. They were all successful and we had a blast! To prepare entry level to advanced triathletes for the Tri Events series. From super sprint to Olympic distance. Dave and Jodi have combined experiences in Triathlons Dave has been competing since 1985! His wife Jodi has done numerous Ironman Hawaii and almost always wins her category at any tri event! 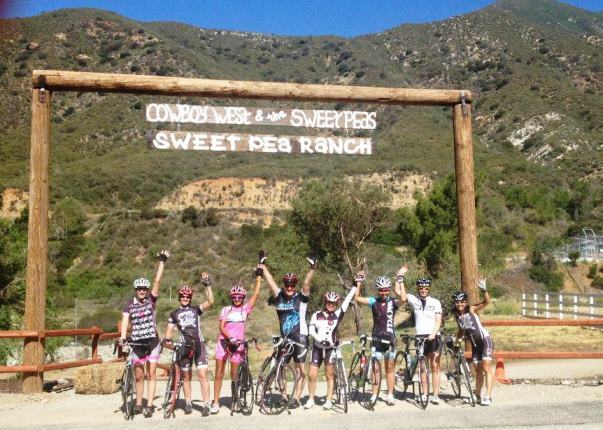 Al is an event planner and is race director to the San Dimas Stage Race as well as various mountain bike venues. Well I am Suzy and have 400 tris/multisport events under my belt since 1993! everything from Super Sprint to Triple Iron non stop distances. I was a guest speaker on 30th May 2010 at Incycle Rancho Cucamonga, I presented a Hammer Nutrition seminar and shared advise on how to fuel up pre, during and post race. After the seminar my husband AL took over and lead a beginners cycling group out for one to two hours to learn cycling etiquette and get comfortable on a bike. Cannondale came out with bikes to use and was a pleasant morning. We will be holding our nutrtion clinic and beginner's on May 30th at 8:30AM as well. This event will be held at our Rancho Cucamonga store and is also free to attend. The nutrition portion will be supported by Hammer Nutrition and will be led by professional triathlete, Suzy Degazon. Suzy is a World Class Ultra Triathlete since 1993 and has a wealth of both, cycling and nutrition knowledge. We are very excited to have her speak at the clinic. After the nutrition info, Suzy's husband and SC Velo race director Al Wiscovitch, will lead our beginner's ride. We invite everyone to join us for our ride and it will be a NO DROP RIDE. Al will be teaching riders proper riding etiquette and general tips to ride safer. The ride will last for up to two hours. Please bring all riding equipment you need. HELMETS ARE MANDATORY for the ride. We are also pleased to announce that Cannondale will be on hand with a few test bikes for our beginner riders to take out. If you have a friend or family member that is interested in road riding, bring them along. We will do our best to get them on a ride. Supplies are limited so get there early to pick up a bike. If anyone is interested in coming to any of the events, please feel free to do so. All clinics are free to attend and the knowledge you recieve will be very helpful. Today we help a four hour triathlon Clinic at Bonelli park! We arrived early at 7am to set up registration etc. Had 30 clients for swim bike and run and 10 more showed up just for the bike portion! Today was a great morning as I was a guest speaker for INCYCLE and would be doing a presentation on Hammer Nutrition, had a good turn out and they asked quality questions. As I was injured I was unable to take the ride around Bonelli so my husband AL was in charge of leading the new group around the park for a 7 mile loop. I elected to stay with Montana (my 10year old step daughter), we rode our mountain bikes for 4 miles. We had a successful clinic and everyone left happy and motivated! I was a guest speaker at Penske Auto was a pleasant experience. I have a variety of topics which I have been asked to share, I can talk about pre, post and race day nutrition using Hammer Nutrition products, I also have a Power point presentation in which I show my life as an elite ultra distance triathlete, the obstacles I have faced and over come and the challenges I still have! I will make you laugh and I will make you cry! But most of all I hope that I can touch your hearts and see that dreams do come true! 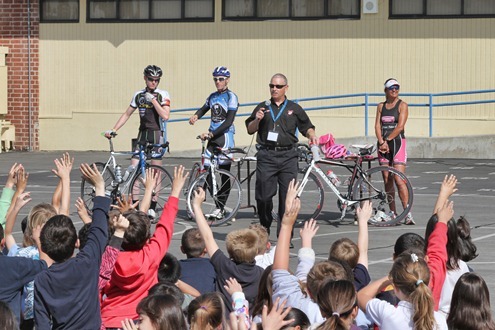 I have gone out to Elementary schools and chatted about safety, cycling and doing triathlons, I have done water safety for Tri La Vie & Inland Infernos tri groupsand ran successful triathlon clinics with my friends Dave and Jodi Ruby and my husband Al Wiscovitch. I love the sport and speak passionately about its highs and Lows. I leave no topic untouched, whether it is about winning Gold Championship medals, Over training, lack of funding to get to events over seasor just finishing an event I have been there. I share my feelings about my 10 year battle with Anorexia Nervosa, my travels as a Scuba Instructor and working on Live a board dive boats in Australia and the Caribbean! My first Triathlon in Puerto Rico and my adventures as a mulisport athlete. I talk about the AVON Crusade against Breast Cancer Campaign. I also cover topics of how to use and train with a Polar Heart Rate monitor and pre, post and race day nutrition. SouthHills HS Cross Country Team. Ben Lovelace Tri Clinics, Covina HS, CA. Nutrition and Polar Clinic for Damian HS Mountain Bike team. Events I have been part of promoting different companies. Remember a journey of a 1000miles begins with but a single step!